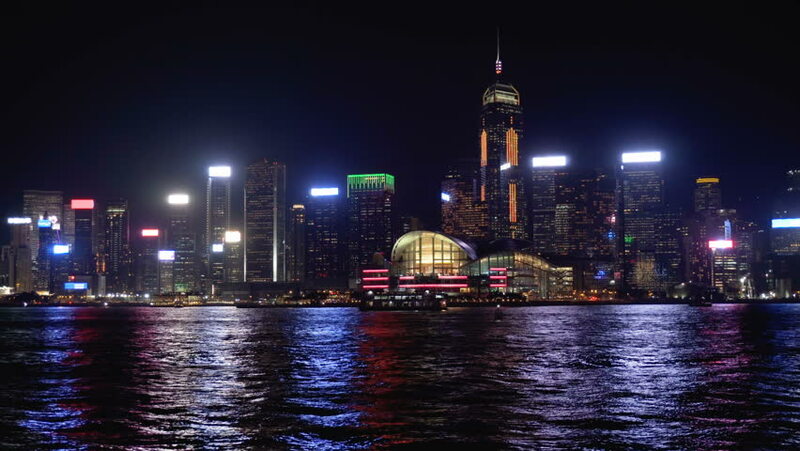 Hong Kong skyline and Victoria Harbor at night. Colorful lights of skyscrapers in downtown reflected in water. 4k00:15Hong Kong skyline at night. Boats crossing Victoria Harbor. Colorful lights of skyscrapers in downtown reflected in water.